SALT LAKE CITY, April 26, 2018 /PRNewswire/ — DiscGenics, Inc., a clinical stage regenerative medicine company focused on developing cell therapies that alleviate pain and restore function in patients with degenerative diseases of the spine, today announced the first patient has been treated in its phase I/II U.S. clinical trial of IDCT for mild-to-moderate degenerative disc disease (DDD). The treatment took place at Carolina Neurosurgery and Spine Associates in Charlotte, NC, led by the study’s principal investigator, Domagoj Coric, M.D. IDCT is an allogeneic (donor-derived), non-invasive cell therapy comprised of proprietary Discogenic Cells and a viscous scaffold carrier. This prospective, randomized, double-blinded, vehicle- and placebo-controlled study is designed to evaluate the safety and preliminary efficacy of IDCT at varying dosage levels in subjects with single-level, symptomatic lumbar DDD, a major cause of chronic low back pain. The trial will take place in up to 10 centers across the U.S. and will enroll approximately 60 subjects. Those who meet all eligibility criteria will be randomized to one of four treatment cohorts: low dose IDCT (n=20), high dose IDCT (n=20), vehicle (n=10) and placebo (n=10). Each subject will receive a single intradiscal injection of his or her assigned treatment into the target symptomatic lumbar intervertebral disc. Following treatment, subjects will be observed and evaluated for a period of one year, with a one-year extension period. For more information, please visit clinicaltrials.gov/. 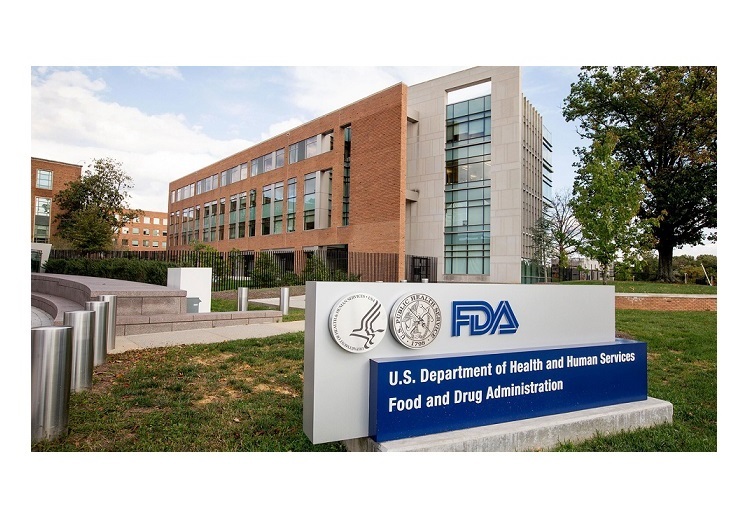 Initiation of this trial was supported by the U.S. Food and Drug Administration’s (FDA) acceptance of the Company’s investigational new drug (IND) application for IDCT, announced in the fourth quarter of 2017. DiscGenics is one of just two companies in the world with an allogeneic cell-based product for disc degeneration that is pursuing a Biologics License Application (BLA) from the FDA through its rigorous clinical and regulatory IND pathway. DiscGenics is a privately held, clinical stage regenerative medicine company focused on developing cell therapies that alleviate pain and restore function in patients with degenerative diseases of the spine. DiscGenics is harnessing the restorative potential of cells native to the intervertebral disc to develop what we hope will be a profound therapeutic option for millions of patients suffering from the debilitating effects of back pain. DiscGenics’ first product candidate, IDCT, is a homologous, allogeneic injectable cell therapy that utilizes proprietary Discogenic Cells to offer a non-surgical, potentially regenerative solution for the treatment of patients with mild to moderate degenerative disc disease. LEWISVILLE, Texas–(BUSINESS WIRE)–Orthofix International N.V. (NASDAQ:OFIX) today reported its financial results for the first quarter ended March 31, 2018. Net sales were $108.7 million, diluted earnings per share from continuing operations was $0.27 and adjusted earnings per share from continuing operations was $0.39. 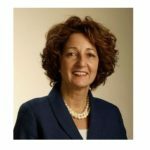 The Company also closed the acquisition of Spinal Kinetics Inc., a privately held developer and manufacturer of artificial cervical and lumbar discs. Gross profit increased $4.4 million to $84.6 million. Gross margin decreased slightly to 77.8% compared to 78.0% in the prior year period due primarily to an unfavorable impact from sales mix this quarter. Non-GAAP net margin, an internal metric that the Company defines as gross profit less sales and marketing expenses, was $34.3 million compared to $31.6 million in the prior year period. The increase in non-GAAP net margin was primarily due to lower marketing expenses and decreased commission rates. Net income from continuing operations was $5.2 million, or $0.27 per share, compared to a loss of $2.3 million, or ($0.13) per share in the prior year period. 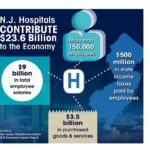 Adjusted net income from continuing operations was $7.3 million, or $0.39 per share, compared to adjusted net income of $4.9 million, or $0.27 per share in the prior year period. EBITDA was $15.2 million, compared to $6.6 million in the prior year period. Adjusted EBITDA was $19.7 million, or 18.1% of net sales, for the first quarter, compared to $15.7 million, or 15.3% of net sales, in the prior year period. As of March 31, 2018, cash and cash equivalents were $77.1 million compared to $81.2 million as of December 31, 2017. As of March 31, 2018, the Company had no outstanding indebtedness and borrowing capacity of $125 million under its existing credit facility. Cash flow from operations was ($3.6) million, an increase of $7.3 million, and free cash flow was ($7.0) million, an increase of $7.8 million when compared to the prior year period. On April 30, 2018, the Company completed the acquisition of Spinal Kinetics, Inc., a privately held developer and manufacturer of artificial cervical and lumbar discs. Terms of the transaction included $45 million in cash plus up to an additional $60 million in future contingent milestone payments related to U.S. Food and Drug Administration approval of the M6-C® cervical disc and the achievement of certain future sales targets. These contingent milestones payments must be achieved within five years of closing. As inducements to enter into employment with Orthofix, Mr. Afzal was granted 8,194 restricted shares of Orthofix common stock and options to purchase 28,624 shares of Orthofix common stock, and 67 additional employees joining from Spinal Kinetics were granted an aggregate of 14,887 restricted shares of Orthofix common stock. All awards vest in one-fourth annual increments beginning on the first anniversary of grant. The grants, which were approved by the Compensation Committee of Orthofix’s Board of Directors, were made under a standalone inducement plan approved pursuant to NASDAQ Marketplace Rule 5635(c)(4), but on terms substantially the same as grants made in the ordinary course under the Company’s 2012 Long Term Incentive Plan. As previously announced in February, the Company has been considering a redomicile from Curacao to Delaware. As a result of further analysis during the quarter, the Company has determined to pursue such a redomicile. The redomicile will be subject to approval by shareholders. If approved, the Company expects that the redomicile would be completed by the end of the year. 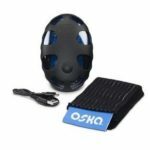 Orthofix will host a conference call today at 4:30 PM Eastern time to discuss the Company’s financial results for the first quarter of 2018 and the acquisition of Spinal Kinetics. Interested parties may access the conference call by dialing (844) 809-1992 in the U.S. and (612) 979-9886 outside the U.S., and referencing the conference ID 5288605. A replay of the call will be available for two weeks by dialing (855) 859-2056 in the U.S. and (404) 537-3406 outside the U.S., and entering the conference ID 5288605. A webcast of the conference call may be accessed by going to the Company’s website at www.orthofix.com, by clicking on the Investors link and then the Events and Presentations page. WARSAW, Ind., April 30, 2018 /PRNewswire/ — Zimmer Biomet Holdings, Inc. (NYSE and SIX: ZBH), a global leader in musculoskeletal healthcare, announced today that it has entered into a partnership agreement with Faith In Practice, a Houston-based non-profit organization that provides surgical, medical, dental and educational programs in Guatemala. Under the partnership, Zimmer Biomet will donate instrument sets and provide implants for Faith In Practice to place in inventory with the goal of improving access to total knee arthroplasty procedures for patients in underserved communities. Through the partnership’s model, Faith In Practice will utilize Zimmer Biomet implants at the Las Obras Hospital in Antigua and Hilario Galindo Hospital in San Felipe, Retalhuleu, Guatemala. “We are incredibly grateful to Zimmer Biomet for making this commitment to serve those in great need in Guatemala. While Zimmer Biomet has always been generous in supporting medical volunteers who wish to serve those in need in developing nations, this new way of providing implants will leverage and expand its impact significantly. 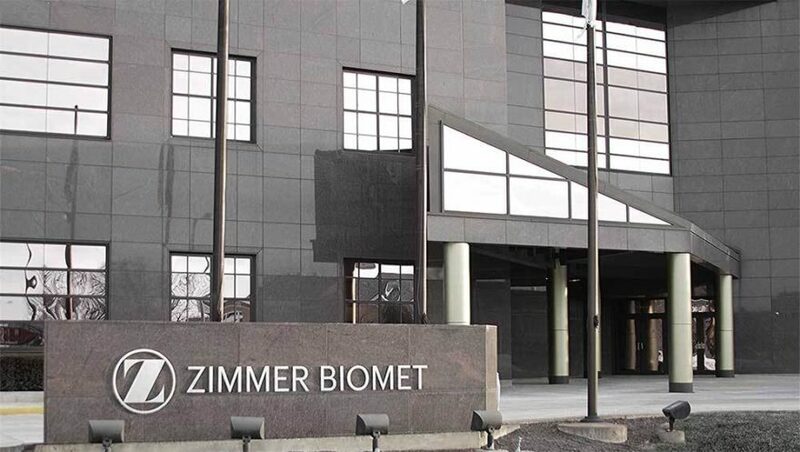 We applaud Zimmer Biomet’s efforts and are honored to be its first partner in this new way of providing care to those who otherwise would have no access,” said the Rev. Linda McCarty, President and Chief Executive Officer of Faith In Practice. The mission of Faith In Practice is to improve the physical, spiritual, and economic conditions of the poor in Guatemalathrough short-term surgical, medical, and dental mission trips and health-related educational programs. Faith In Practice’s life-changing medical mission is to minister to the poor, while providing a spiritually enriching experience for its volunteers. Each year, more than 1,300 US volunteers serve through Faith In Practice, covering their own costs, taking vacation time, to serve. They are joined by more than 1,000 Guatemalan volunteers and two non-profit Guatemalan hospitals to provide care to the poor of Guatemala. For more information, visit www.faithinpractice.org. 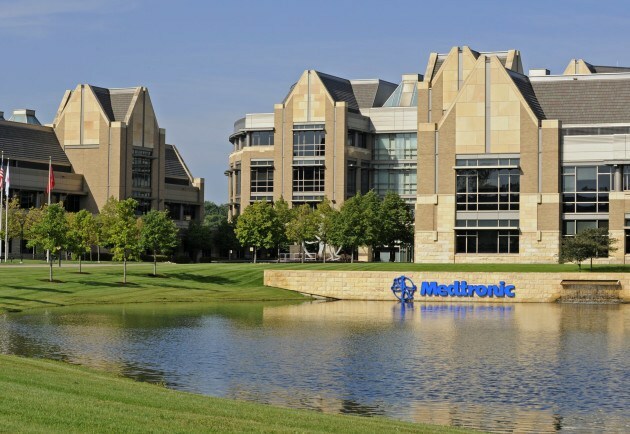 DUBLIN – April 30, 2018 – Medtronic plc (NYSE: MDT) today announced U.S. Food and Drug Administration (FDA) approval of Infuse(TM) Bone Graft in new spine surgery indications. InfuseBone Graft is now approved for use with additional spine implants made of polyetheretherketone (PEEK) in oblique lateral interbody fusion (OLIF 25(TM) and OLIF 51(TM)) and anterior lumbar interbody fusion (ALIF) procedures at a single level. This is the second expanded indication in just over two years. Use in OLIF 51 procedures with Divergence-L®Interbody Fusion Device at a single level from L5-S1. Use in OLIF 25 procedures with Pivox(TM) Oblique Lateral Spine System at a single level from L2-L5. Use in ALIF procedures with Divergence-LInterbody Fusion Device at a single level from L2-S1. InfuseBone Graft is used with certain Medtronic interbody fusion devices to treat lumbar degenerative disc disease. This condition can cause back and/or leg pain, as well as functional problems, such as tingling or numbness in the legs or buttocks or difficulty walking. InfuseBone Graft is approved for certain spine, oral-maxillofacial and orthopedic trauma surgeries. Infuse has been on the market since 2002 and has been used in more than one million patients worldwide. The active ingredient in InfuseBone Graft is rhBMP-2 – a manufactured version of a protein already present in the body that promotes new bone growth. During surgery, it is applied to an absorbable collagen sponge (ACS). The ACS is a carrier to deliver the rhBMP-2 to the implant site and acts as a scaffold for the formation of new bone, and it will resorb, or disappear, over time. The Divergence-LInterbody Fusion Device and the Pivox Oblique Lateral Spine System incorporate the technology of Gary K. Michelson, M.D. 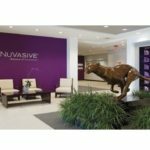 NEW YORK, April 30, 2018 /PRNewswire/ — Paradigm Spine, LLC, a leader in providing motion preservation solutions for the treatment of lumbar spinal stenosis, today announced results of three subanalyses from studies of coflex® that further validate the efficacy and benefit to patients with lumbar spinal stenosis. The data were presented during three scientific podium presentations at the 2018 International Society for the Advancement of Spine Surgery (ISASS), held April 11-13 in Toronto, Canada. coflex was significantly less-invasive as measured by shorter operative times, decreased blood loss, and shorter length of hospital stay than fusion. fusion surgery is more than $50,000 more expensive per procedure, as compared to decompression with coflex. coflex as an alternative to fusion in a clinically appropriate subset of LSS patients would favorably impact the total cost of care while preserving clinical outcomes. coflex is a significantly more cost-effective option for the healthcare system due to approximately half the operative time and a hospital stay that was almost two days shorter. Paradigm Spine, LLC, founded in 2004, is a privately held company and remains focused on the design and development of solutions for the disease management of spinal stenosis. The Company’s signature product is the coflex® Interlaminar Stabilization® device, which is currently used in over 60 countries worldwide. coflex is the only lumbar spinal device that has produced Level I evidence in two separate prospective, randomized, controlled studies against two different control groups, changing the standard of care for lumbar spinal stenosis treatment. For additional information visit www.paradigmspine.com or www.coflexsolution.com. ATLANTA, April 30, 2018 /PRNewswire/ — Meditech Spine, LLC, announced today it has received additional 510(k) clearance for its CURE Lumbar Plating (LP) System from the US Food and Drug Administration (FDA). The CURE LP iView and Cure LP QMax System clearance compliments Meditech’s recent 510(k) of the CURE Lumbar Plate System in 2017 with additional plating options. The CURE LP allows surgeons to utilize the lumbar plating system along with its novel lumbar Talos® fusion devices, which are manufactured with the PEEK-OPTIMA™ HA Enhanced polymer. The CURE LP is a low profile titanium plate that incorporates a proprietary, one-step locking mechanism to prevent screws anchored on the spine from loosening and backing out. The special 510(k) includes additional sizing options for surgeons. The CURE LP-iView is similar to the standard CURE LP anterior plate but includes a through hole with rib to nest with the Talos®-A (HA) Interbody Device. And, the CURE LP-QMax is a four hole direct lateral plate complimenting the previously cleared two hole plate. The CURE LP anterior plates, sacral plates and the new iView and Qmax plates will be combined in one tray with streamlined instruments to make it easier on hospital and surgery centers to process the system. All systems will be provided sterile packaged to aid with implant tracking while helping to reduce implant related infections. The CURE Lumbar Plate System is intended for use via a lateral or anterolateral surgical approach. With the introduction of the CURE Anterior Cervical Plating (ACP) last year, Meditech continues its philosophy of giving back which led to a partnership with CURE International, the namesake of the CURE ACP and CURE LP, an organization that serves children with physical disabilities in underserved areas of the world. A portion of proceeds from the sale of every plate will help CURE International treat patients in underserved areas who are in need of surgical care. “After the introduction in late 2017 with our CURE LP system, we have continued to listen to surgeons and build upon our existing platform by providing additional plating options. Surgeons now have the flexibility of choosing from multiple plate configurations for their patients that require supplemental fixation. When coupled with our Talos®-A (HA) Interbody Fusion Device, manufactured with our next generation osteoconductive polymer, we provide a full and robust system for surgeons who utilize the anterior and anteriorlateral approaches to treat degenerative spinal conditions,” Eric Flickinger, Co-founder of Meditech Spine, noted. Meditech Spine, LLC, is a spinal device company developing innovative instrumentation for treating complex spinal issues. 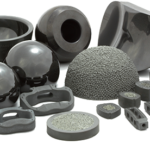 It partners with leaders in the industry to design, develop, and distribute implant devices that make a positive difference in the market. Meditech’s pursuit of novel and innovative technologies drives its design and development team. As Meditech builds on its IP platform, it seeks strategic partnerships and applications to provide surgeons and patients with the best available technologies. SCHLIEREN (Zurich), Switzerland, April 30, 2018 (GLOBE NEWSWIRE) — Kuros Biosciences (SIX:KURN) reported today its Full-Year 2017 Results, and the publication of its annual report. 2017 has been a transformative year for Kuros Biosciences, which successfully transitioned into a full-fledged orthobiologics company with scientific, clinical, and commercial excellence in bone regeneration. MagnetOs Granules and MagnetOs Putty have been cleared by the U.S. Food and Drug Administration, and the Company is gearing up for their U.S. commercial launch in 2018. As a technology leader in synthetic and drug-based bone regeneration, Kuros is well-positioned to capture the commercial opportunity in the orthobiologics market, which is estimated to grow to more than $3 billion by 2030. Kuros intends to initially focus on spinal fusion, which represents 50% of the total orthobiologics market. Cash and cash equivalents (including financial assets and trade and other receivables) as per December 31, 2017, amounted to CHF 17.0 million, compared with CHF 13.0 million as per December 31, 2016. The increase is mainly due to capital increases which off-set net operating cash. In 2017, Kuros received a milestone payment of TCHF 534 (TCHF 997 in 2016) from a collaboration partner. Operating costs for 2017 amounted to CHF 16.8 million, compared with CHF 22.4 million in the previous year. Research and development expenses decreased from CHF 7.9 million in 2016 to CHF 4.5 million in 2017. General and administrative expenses decreased from CHF 17.1 million in 2016 to CHF 15.2 million in 2017. During 2017, Kuros raised CHF 16.9 million in equity, and put a CHF 30 million equity financing facility in place to provide the Company with more financial flexibility. In 2018, the Company aims to capitalize on the restructuring as it executes on its renewed focus on orthobiologics. 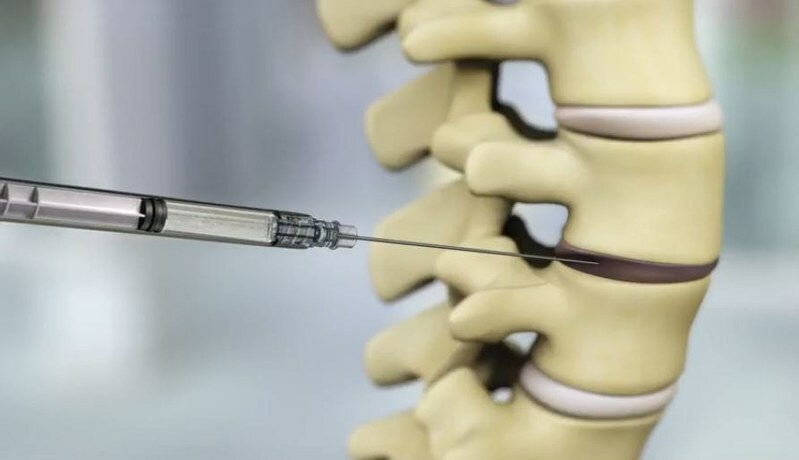 This includes setting-up a U.S. commercial infrastructure to support the U.S. launch of MagnetOs, as well as the preparation of a Phase 2 clinical study for our drug-based Fibrin-PTH product candidate KUR-113 for spinal indications. SHIRLEY, Mass., April 26, 2018 /PRNewswire/ — Mobius Imaging, LLC, announced today that it has received 510(k) clearance for its Airo® Mobile CT Imaging System for pediatric applications. The Airo Mobile CT Imaging System previously received 510(k) clearance in 2013 for non-pediatric imaging and has become a market leader in intraoperative, image guided procedures in neuro-spine surgery. Airo diagnostic images also continue to be utilized for supporting applications in brachytherapy, radiation therapy and surgical imaging. The ability to provide Airo Mobile CT imaging for pediatrics is an important milestone in the Company’s ability to offer solutions for additional clinical segments and applications. Pediatric patients can now receive the clinical benefits of Airo CT imaging for diagnostic and intraoperative procedures. Mobius Imaging develops, designs and manufactures advanced imaging technologies that fit seamlessly into existing medical workflows. The company’s approach to technology – Intelligent Imaging – is designed to give healthcare practitioners the crisp, clear images they want, whenever and wherever they want them, without adding time or complexity to the procedure. From the OR to the ER to clinical settings of all kinds, Intelligent Imaging expands possibilities. Founded in 2008, the company now has over 130 Airo installations in 23 countries since 2014. Mobius Imaging is a registered trademark of Mobius Imaging, LLC. ALLENDALE, N.J.–(BUSINESS WIRE)–Reference 3 should read “TREP0000053045 | Tritanium Wicking Verification Test.” (instead of RD0000050927 | Tritanium material capillary evaluation.). Also, Reference 4 has been removed. 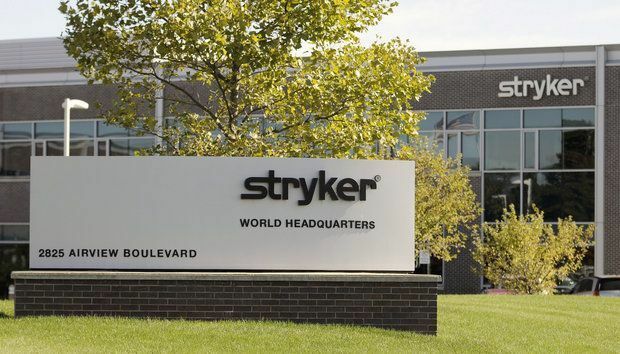 Stryker’s Spine division will showcase its expanding line of Tritanium®cages, including the new Tritanium® TL Curved Posterior Lumbar Cage, a 3D-printed interbody fusion cage intended for use as an aid in lumbar fixation, at the American Association of Neurological Surgeons (AANS) Annual Scientific Meeting, April 28–May 2, 2018, in New Orleans (booth No. 413). The Tritanium TL’s new Anterior Placement System and cage design combine to enable the surgeon’s desired apophyseal placement. The Tritanium TL Cage is shaped for steerability and has a unique, curved shape and rounded teeth to facilitate multidirectional fixation. VANCOUVER, British Columbia, April 26, 2018 /PRNewswire-USNewswire/ — Spinal stimulation increases the odds of pain relief more than medical therapy when patients are faced with intractable spine or limb pain. In a recent study, researchers made the following discoveries: 1) spinal stimulation compared to medical therapy significantly increased the odds of reducing pain by 50%; 2) spinal stimulation compared to medical therapy significantly reduced pain as measured by Visual Analogue Scale (VAS); and 3) using the common comparator of medical therapy, newer stimulation technology (eg, HF10, Burst, DRG) led to increased odds of pain relief compared to conventional spinal stimulation. Presented today in a scientific poster at the American Academy of Pain Medicine 34th Annual Meeting, this abstract intends to increase awareness about spinal stimulation as an option to treat chronic pain. “Given the national opioid crisis, patients, physicians, policy makers, and payers are asking about viable alternatives to treat intractable pain. Spinal stimulation has demonstrated efficacy in a variety of difficult to manage chronic pain conditions,” says Tim Lamer, MD, of the Mayo Clinic who led the research. 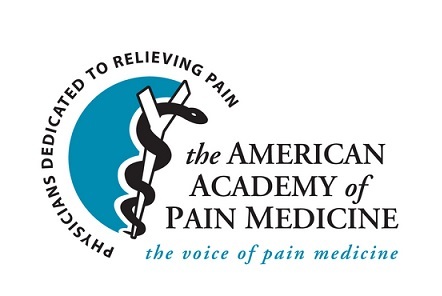 The American Academy of Pain Medicine is the premier medical association for pain physicians and their treatment teams with some 2,000 members. Now in its 35th year of service, the Academy’s mission is to advance and promote the full spectrum of multidisciplinary pain care, education, advocacy, and research to improve function and quality of life for people in pain. Information is available on the Academy’s website at www.painmed.org.